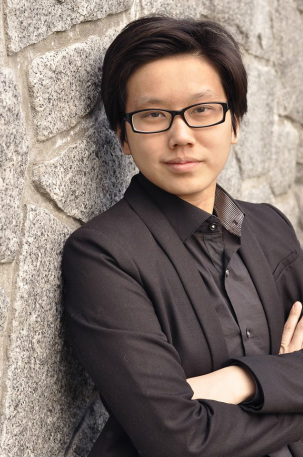 Ann Chen is the Artistic Director of Essonance Chamber Choir. Born in Taichung, Taiwan, she graduated from Stony Brook School in New York, USA. She obtained her Bachelor of Music in Piano, Secondary Education Stream from the University of British Columbia in 2013, and has recently completed Bachelor of Education in Secondary Music at UBC. She has studied conducting with Graeme Langager, Robert Taylor, Jonathan Girard, Fred Sjöberg, Shun-Hsu Chuang and Tzong-Kai Kuo. Ann is not only a conductor, but also an accomplished pianist and vocalist. She was selected to perform in MENC (National Association for Music Education) All-Eastern Honours Chorus, NYSSMA (New York State School Music Association) All-State Honours Chorus, and All-County Chorus from 2007 to 2009 in the United States. During her studies at UBC, she sung in UBC University Singers for four years. She then joined Vancouver Cantata Singers since 2013. She is currently employed as collaborative pianist and section lead at St. John's Shaughnessy Anglican Church. Ann is deeply in love with the harmonies that human beings bring together. Her goal is to pursue a Master’s degree in Choral Conducting and a doctorate in the future.